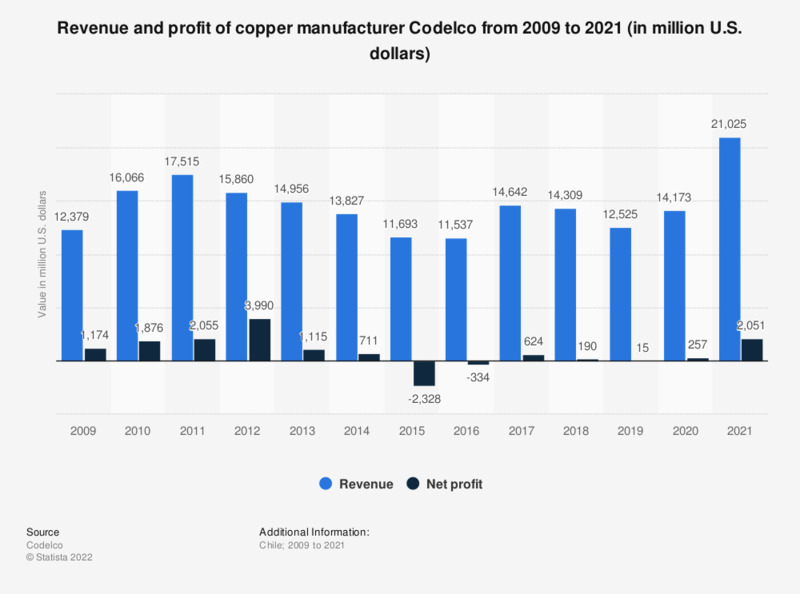 This statistic shows the revenue and profit of copper manufacturer Codelco from 2009 to 2017. Codelco is a leading global copper mining company from Chile. In 2016, the company reported a revenue of approximately 14.6 billion U.S. dollars.